Nettle extract might prove to be effective for stress mediated neurological disorders. Nettle extract can decrease the growth of breast tumors and induce apoptosis in tumor cells. Urtica dioica Extract Inhibits Proliferation and Induces Apoptosis and Related Gene Expression of Breast Cancer Cells In Vitro and In Vivo. INTRODUCTION: Currently, because the prevalence of breast cancer and its consequent mortality has increased enormously in the female population, a number of studies have been designed to identify natural products with special antitumor properties. The main purpose of the present study was to determine the effect of Urtica dioica on triggering apoptosis and diminishing growth, size, and weight of the tumor in an allograft model of BALB/c mice. MATERIALS AND METHODS: In the present study, a BALB/c mouse model of breast cancer (4T1) was used. After emergence of tumor, 2 groups of mice received the extract, 1 group at a dose of 10 mg/kg and 1 group at a dose of 20 mg/kg, by intraperitoneal injection for 28 days. During the test and after removal of the tumor mass, the size and weight of the tumor were measured. To assess the induction of apoptosis in the cancer cells, the TUNEL (terminal deoxynucleotidyl transferase deoxyuridine triphosphate nick-end labeling) assay was performed. The Ki-67 test was used to evaluate tumor proliferation. RESULTS: The results showed that the tumor size in the mice treated with the extract decreased significantly. The weight of the tumor mass in the treated mice after resection was less than that in the control group. The TUNEL assay findings revealed that apoptosis occurred in the treated group. The Ki-67 test findings also demonstrated that administration of the extract suppressed the growth of tumor cells. CONCLUSION: These results suggest that U. dioica extract can decrease the growth of breast tumors and induce apoptosis in tumor cells; thus, it might represent an ideal therapeutic tool for breast cancer. The in vivo data from this study suggested that UD and exercise training could cure diabetic rats. In vivo and in vitro evaluation of the effects of Urtica dioica and swimming activity on diabetic factors and pancreatic beta cells. 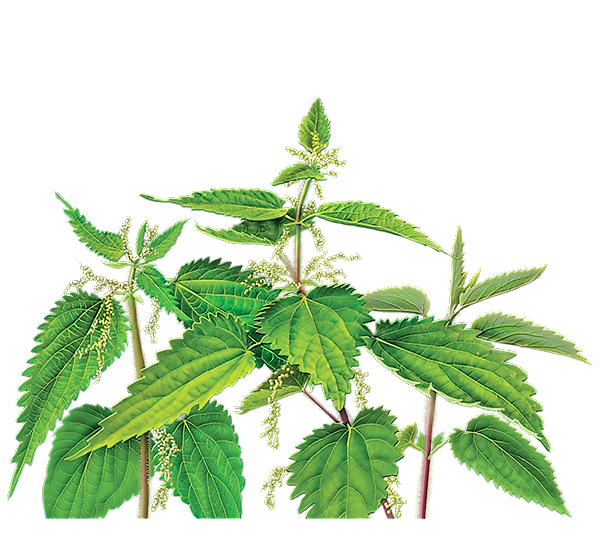 BACKGROUND: Urtica dioica (UD) has been identified as a traditional herbal medicine. This study aimed to investigate the effect of UD extract and swimming activity on diabetic parameters through in vivo and in vitro experiments. METHODS: Adult WKY male rats were randomly distributed in nine groups: intact control, diabetic control, diabetic + 625 mg/kg, 1.25 g/kg UD, diabetic + 100 mg/kg Metformin, diabetic + swimming, diabetic + swimming 625 mg/kg, 1.25 g/kg UD, and diabetic +100 mg/kg Metformin + swimming. The hearts of the animals were punctured, and blood samples were collected for biochemical analysis. The entire pancreas was exposed for histologic examination. 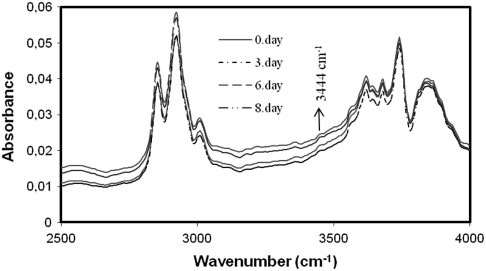 The effect of UD on insulin secretion by RIN-5F cells in 6.25 or 12.5 mM glucose dose was examined. Glucose uptake by cultured L6 myotubes was determined. RESULTS: The serum glucose concentration decreased, the insulin resistance and insulin sensitivity significantly increased in treated groups. These changes were more pronounced in the group that received UD extract and swimming training. Regeneration and less beta cell damage of Langerhans islets were observed in the treated groups. UD treatment increased insulin secretion in the RIN-5F cells and glucose uptake in the L6 myotubes cells. CONCLUSIONS: Swimming exercises accompanied by consuming UD aqueous extracts effectively improved diabetic parameters, repaired pancreatic tissues in streptozotocin-induced diabetics in vivo, and increased glucose uptake or insulin in UD-treated cells in vitro. Natural herbs are safe, effective and better options as anti-inflammatory agents than synthetic ones. Anti-Inflammatory Drugs and Herbs with Special Emphasis on Herbal Medicines for Countering Inflammatory Diseases and Disorders - A Review. BACKGROUND: Diseases with inflammatory etiopathology have increased in incidence in recent times. Drugs used for therapeutic management of such inflammatory diseases are relieving the ailment but at the same time also countering serious life-threatening consequences. Moreover, they are costly and rarely available at all places. In this context, research and development on medicinal herbs have opened a new era in the prophylactic and therapeutic management of inflammatory diseases. OBJECTIVE: To highlight the importance of anti-inflammatory medicine-synthetic drugs and natural herbs, their constituents, mechanism of action, benefits, side effects and future prospects. The overall aim is to provide better health services to patiens regardless of their background on equality basis. 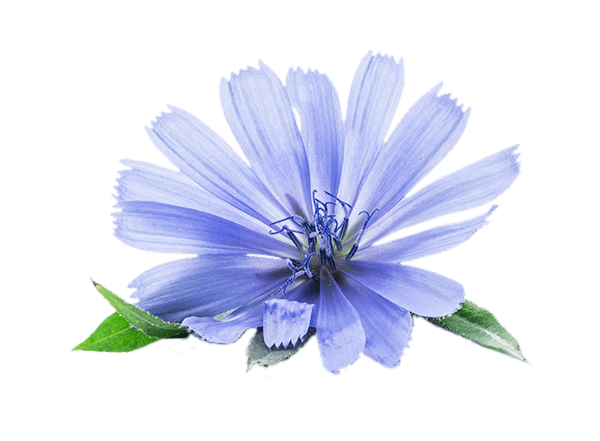 RESULTS: Anti-inflammatory herbs have proven beneficial by combating inflammatory responses that lead to severe abnormality in body systems. Inflammation though a protective response to infection or injury and may result in pathological outcome when aggravated or of severe degree thus needs an early intervention for proper resolution. Medicinal plants or their constituents are considered beneficial due to the properties i.e., satisfactory potency, ease of availability, cheapness, less or no side effects, safer and efficient as compared to the synthetic counterparts. These medicinal herbs contain phytoconstituents that can prevent undesirable inflammatory processes and also posses anti-inflammatory activity. Steroids, glycosides, phenolics, flavonoids, alkaloids, polysaccharides, terpenoids, cannabinoids, fatty acids are common phytoconstituents present in these plants. Different mechanisms have been explored for the anti-inflammatory action of these active ingredients. They may synergize the anti-inflammatory pathway enzymes, factors, proteins or interfere with these in the inflammatory pathway like lipooxygenases, cyclooxygenases, tumor necrosis factors, interleukins, prostaglandin, nitric oxide, mitogen-activated protein, nuclear factor, etc. Considering all the above-mentioned factors, further research from molecular to cellular level will enable a better understanding of the mechanisms. Common anti-inflammatory herbal plants are Curcuma longa, Zingiber officinale, Rosmarinus officinalis, Borago officinalis, Urtica dioica, Uncaria tomentosa, Vaccinium myrtillus, Olea europaea and much more. They are believed to be without side effects unlike the chemical counterparts or synthetic anti-inflammatory agents e.g. steroids, nonsteroid anti-inflammatory drugs, and immunosuppressant used for controlling and suppressing inflammatory crisis. A proper phytochemical, pharmacological and physiological evaluation will enable their safe and effective use in inflammatory conditions. Many of these anti-inflammatory drugs and herbal preparations have been patented with some under consideration. CONCLUSION: Natural herbs are safe, effective and better options as anti-inflammatory agents than synthetic ones. The phytoconstituents are as effective with the comparable mechanism of action as synthetic molecules. Future research should focus on molecular mechanisms of different beneficial applications of these herbal plants in various diseases. Recent patents on anti-inflammatory drugs and herbal plants have been covered which provide insight into the current status and future prospects in this field. 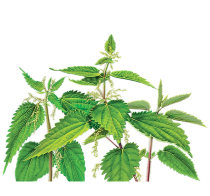 Lipophilic stinging nettle extracts possess potent anti-inflammatory activity, are not cytotoxic and may be superior to traditional tinctures for treating inflammatory disorders. There are 1040 on Nettle. Topical herbal therapies for treating osteoarthritis. Comparison 5 Stinging nettle versus placebo, Outcome 2WOMAC 0–4 (Stiffness) at 4 weeks. Melainie Cameron, et al. Cochrane Database Syst Rev. ;5:CD010538-CD010538.